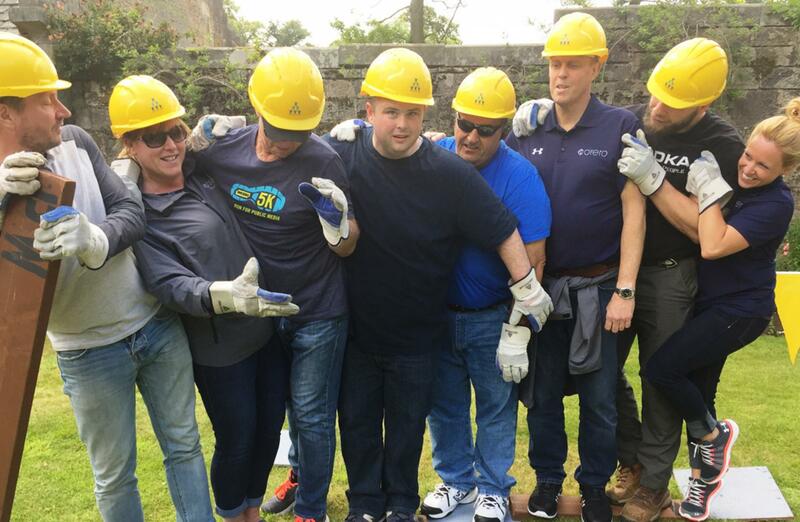 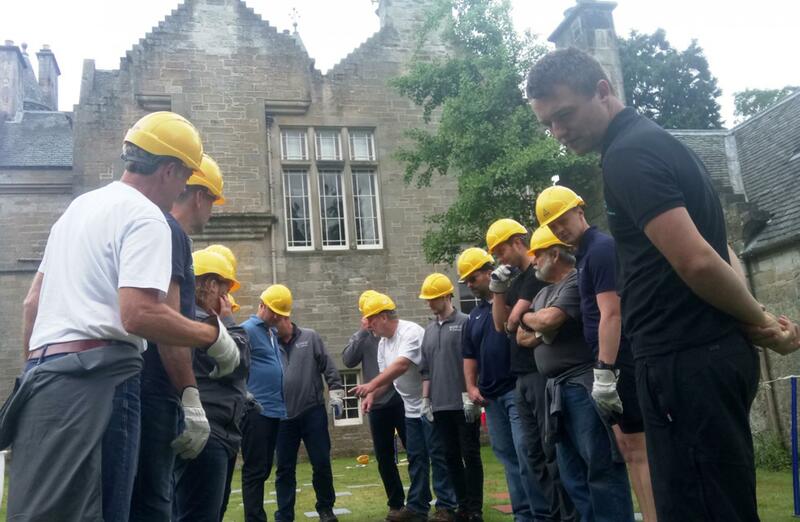 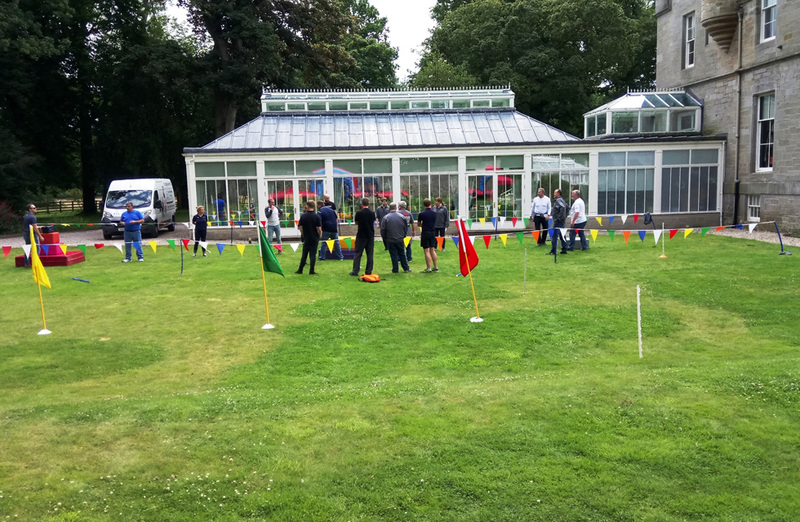 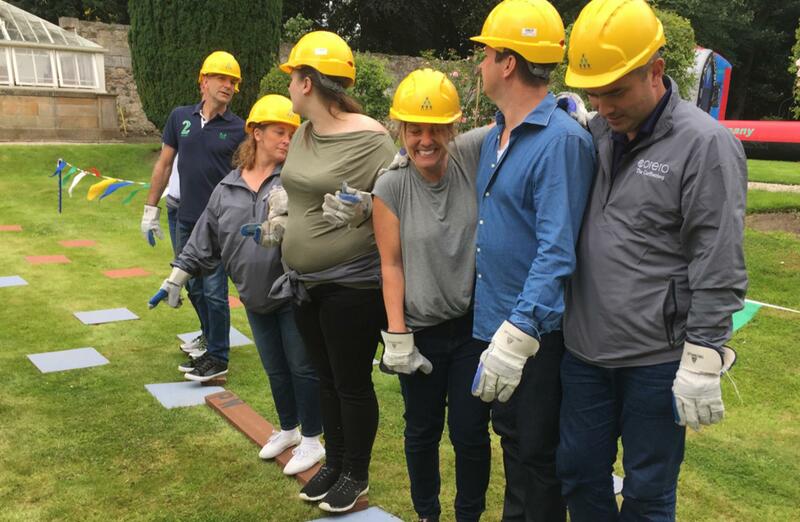 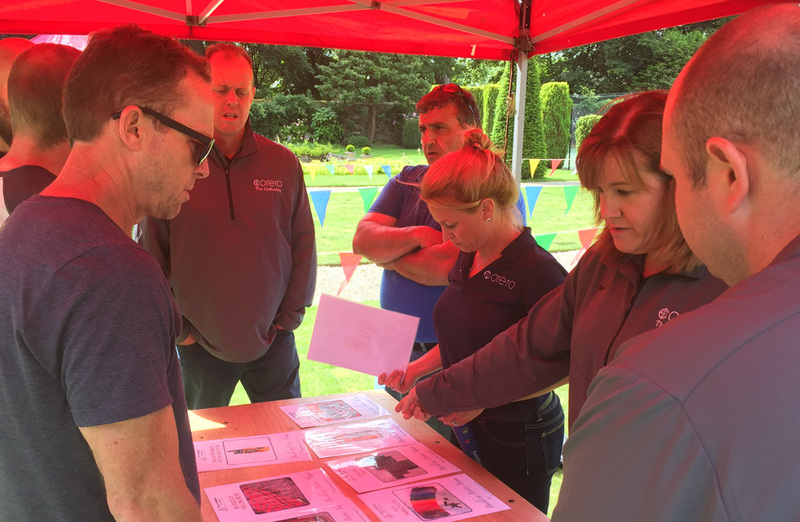 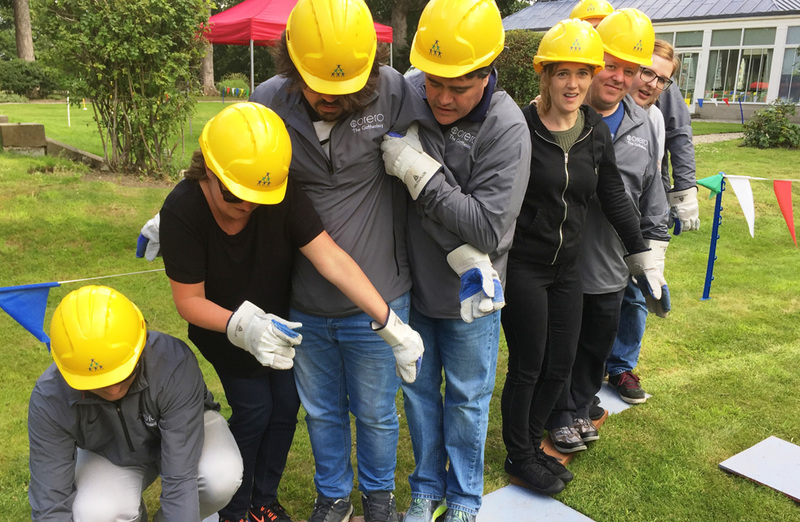 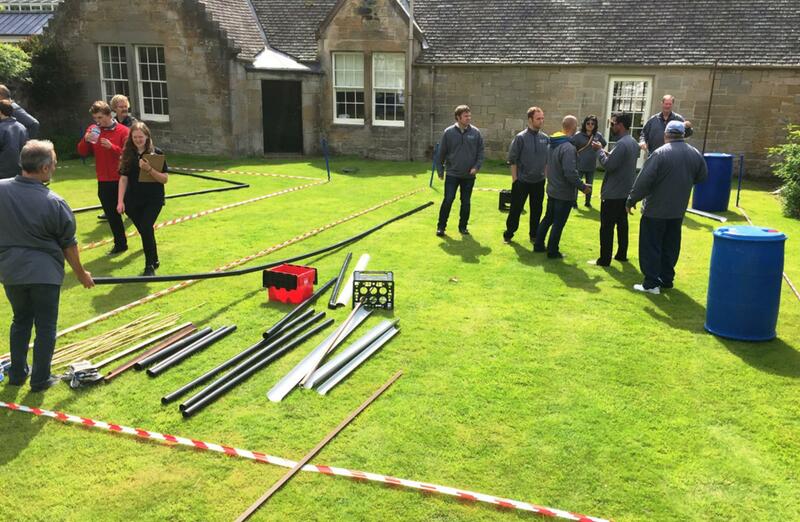 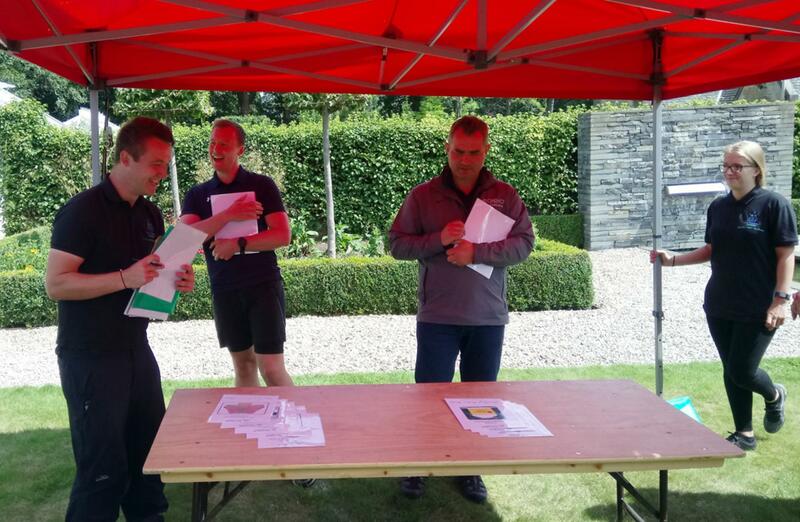 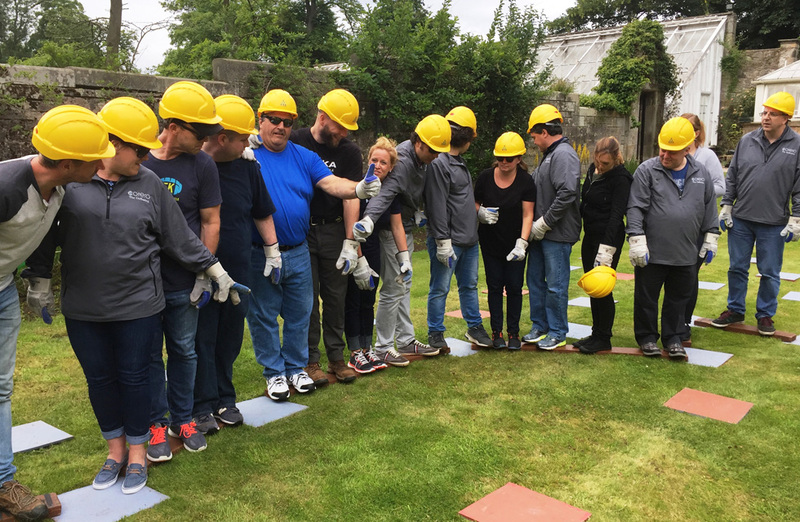 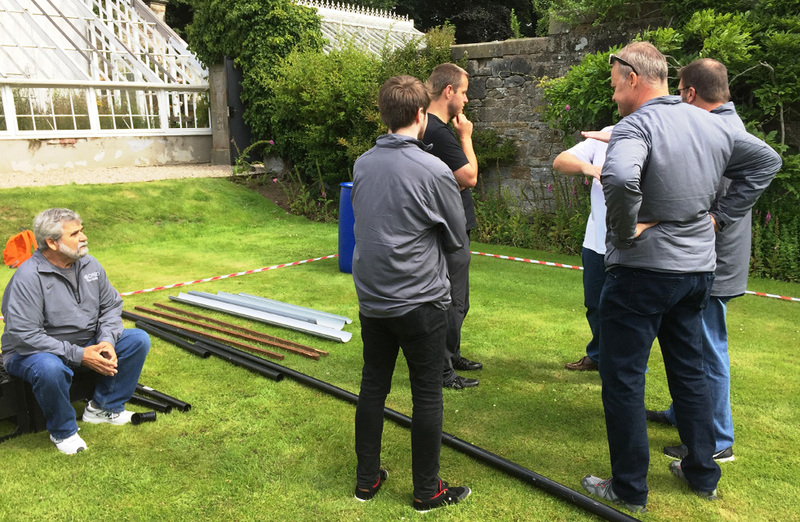 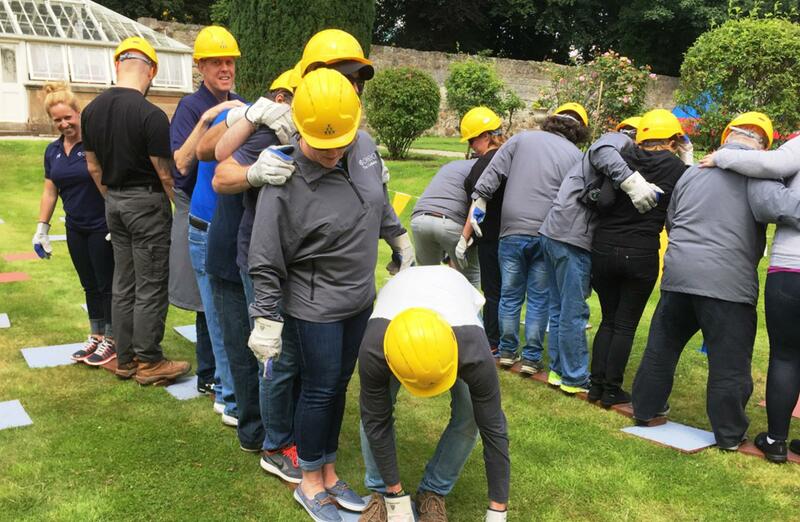 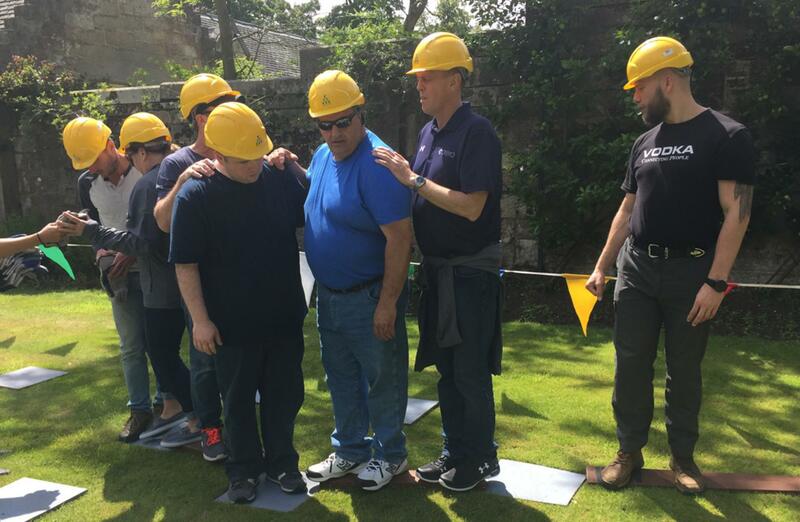 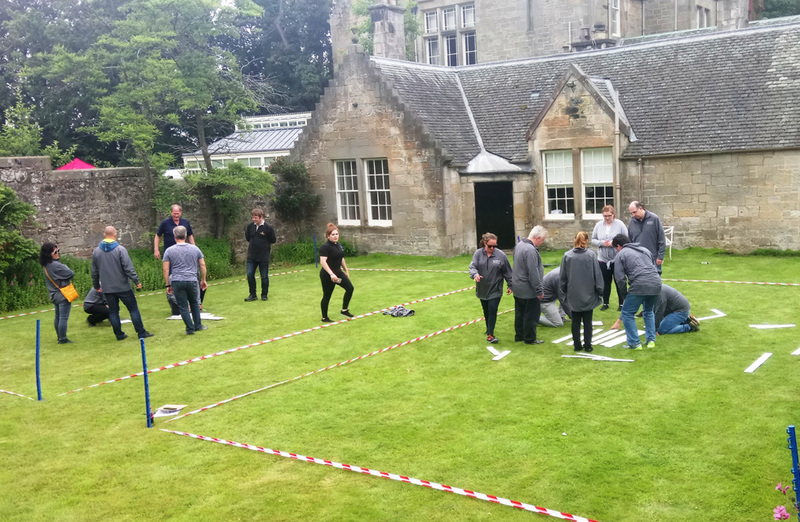 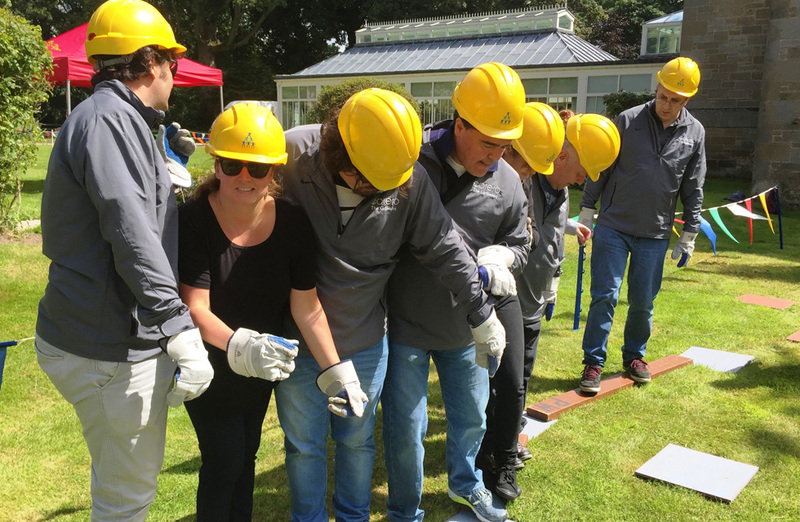 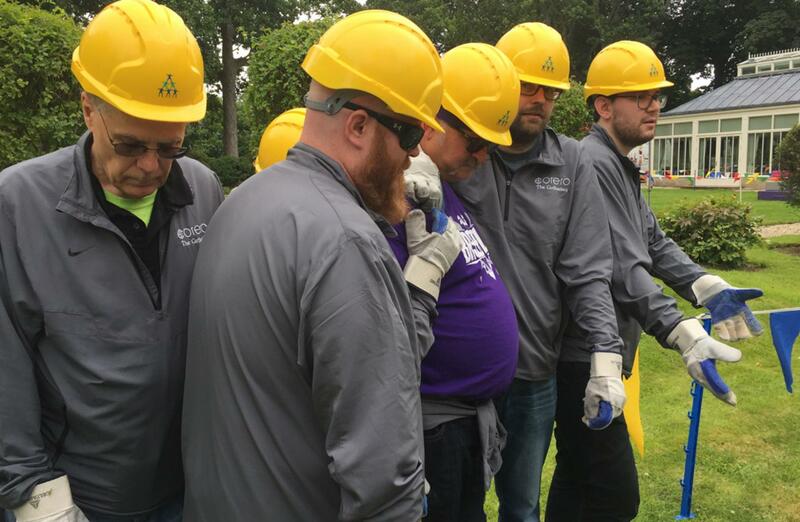 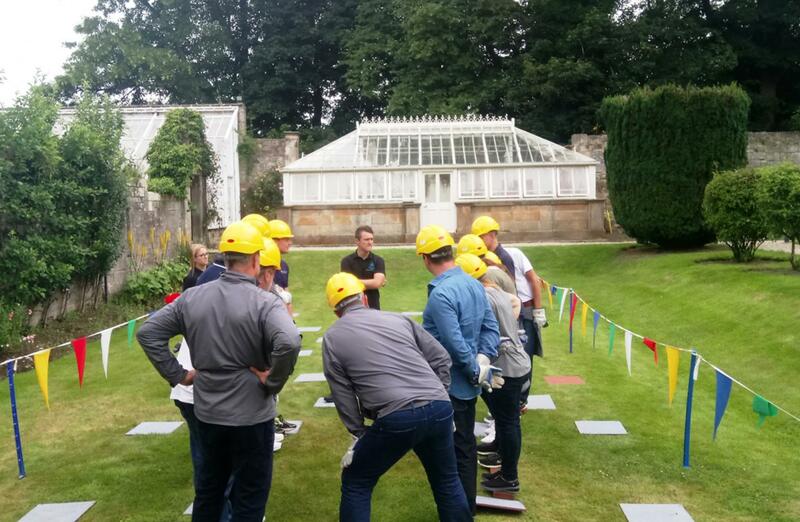 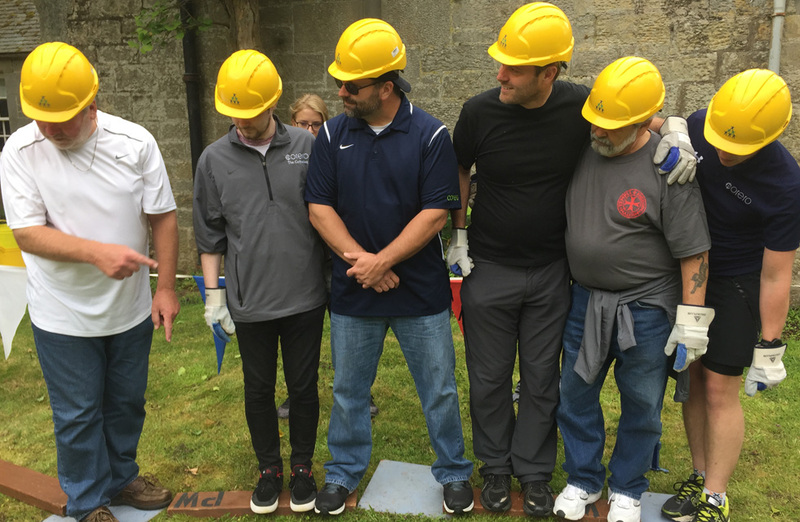 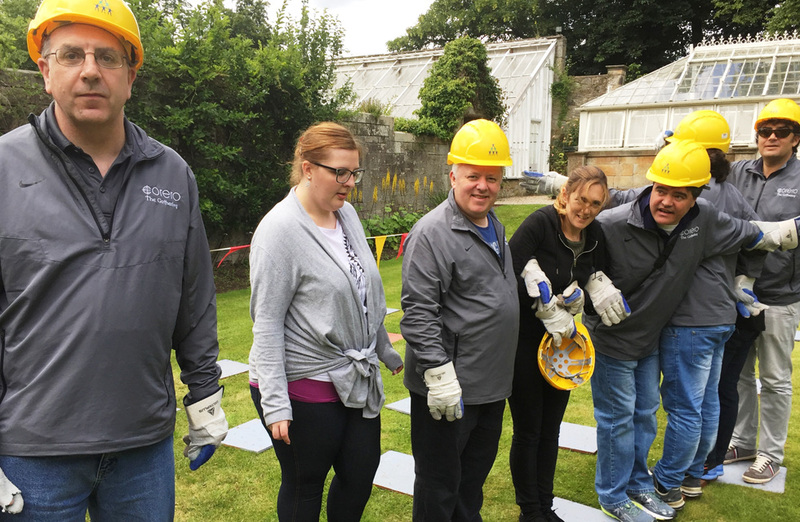 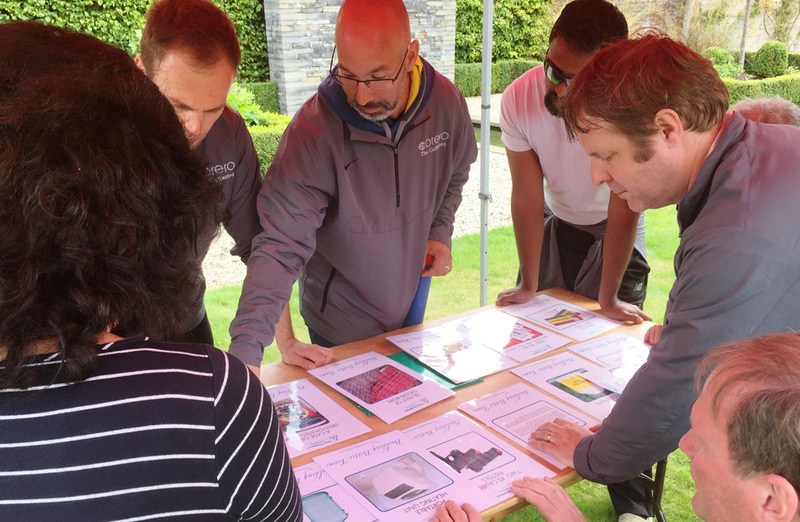 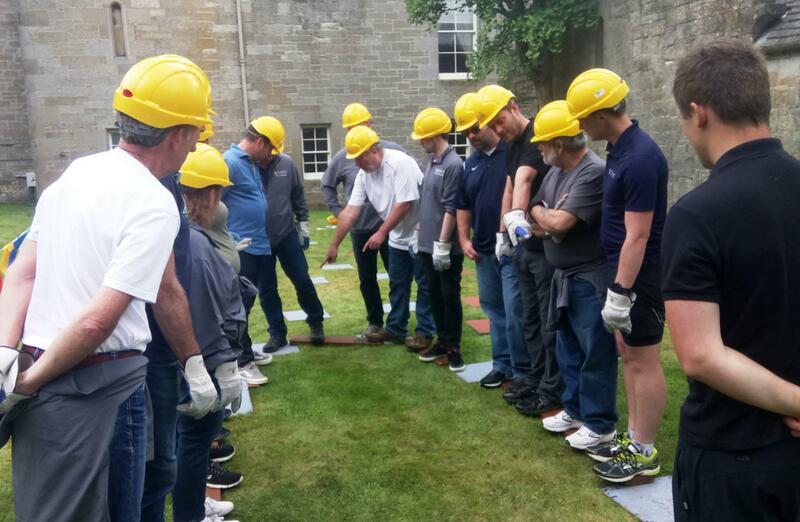 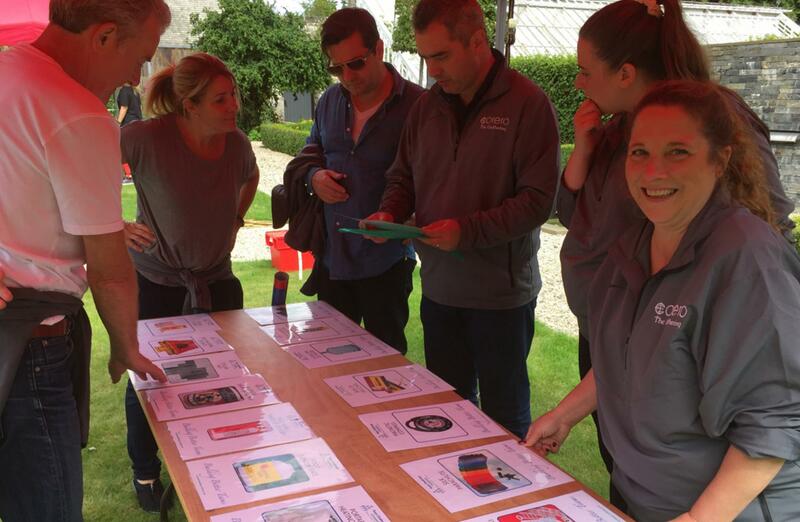 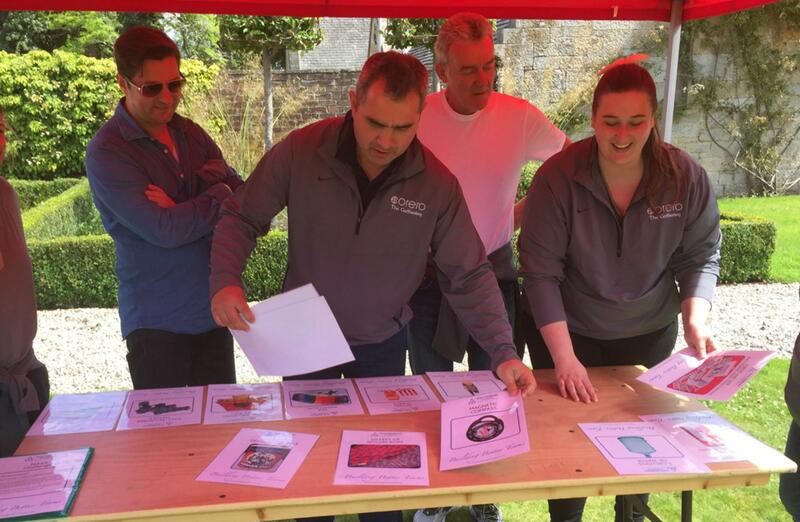 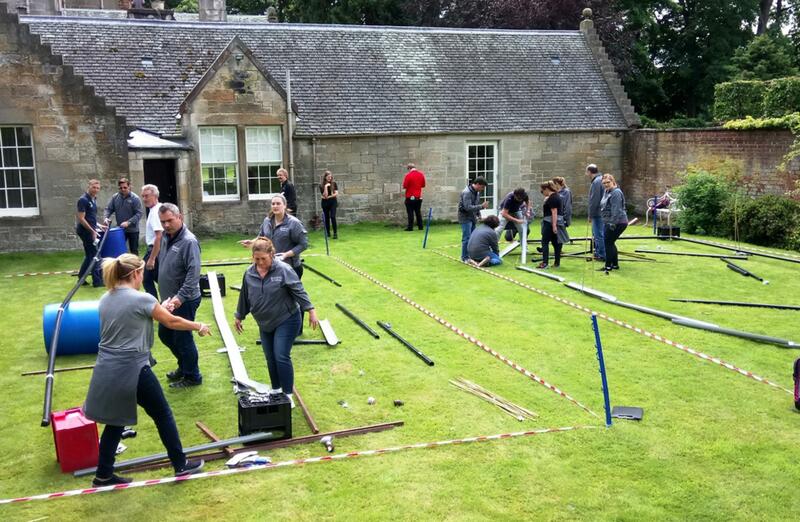 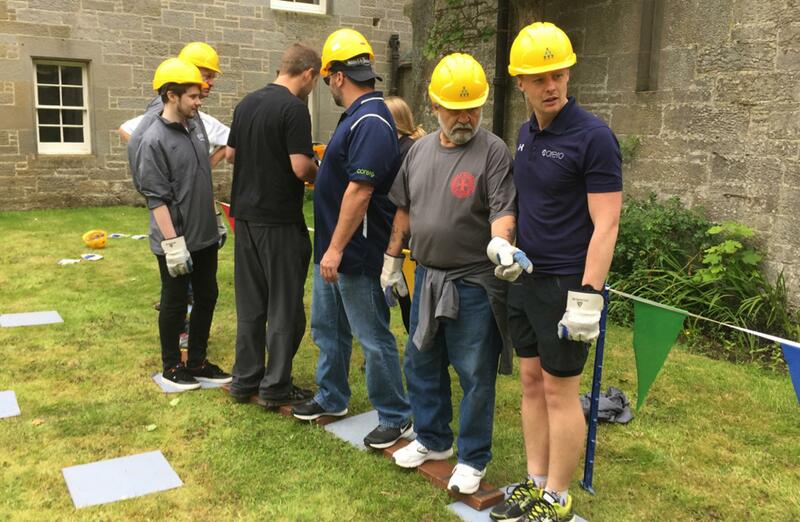 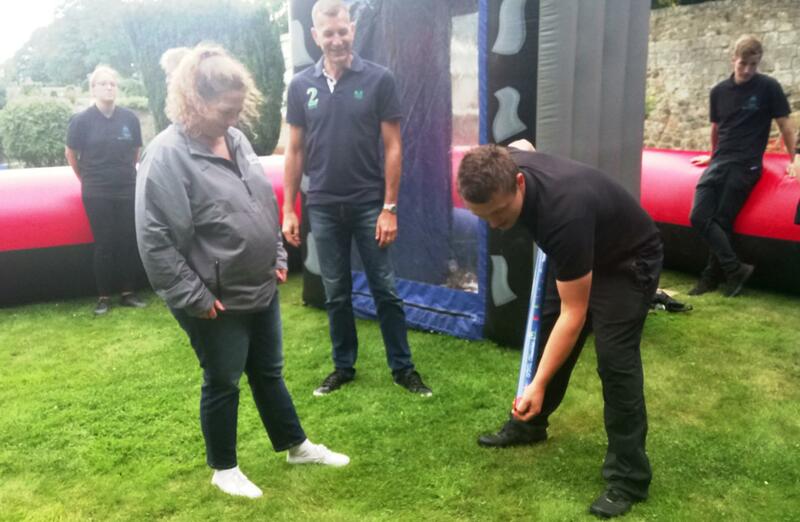 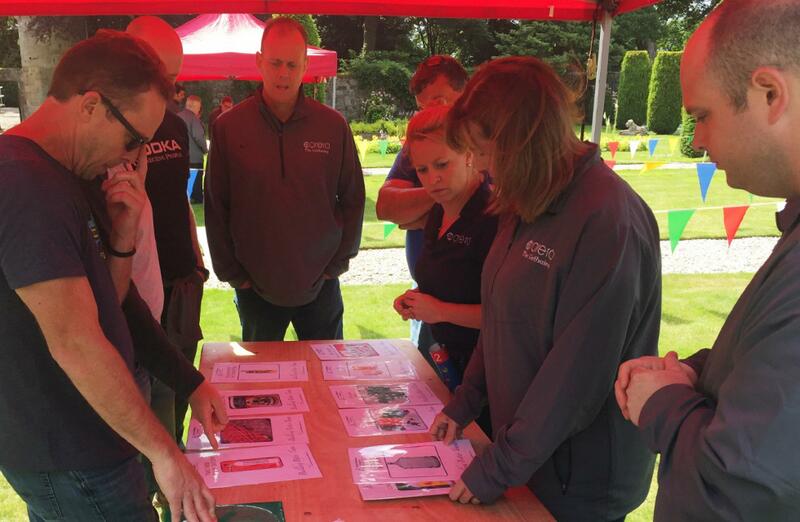 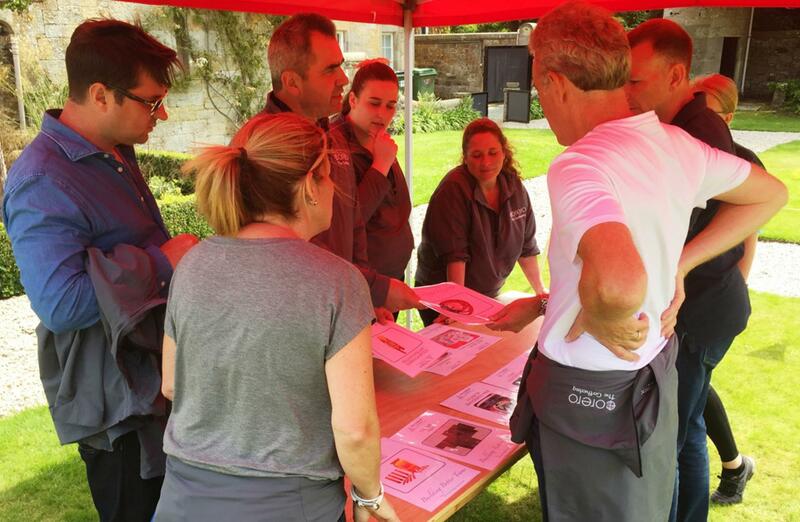 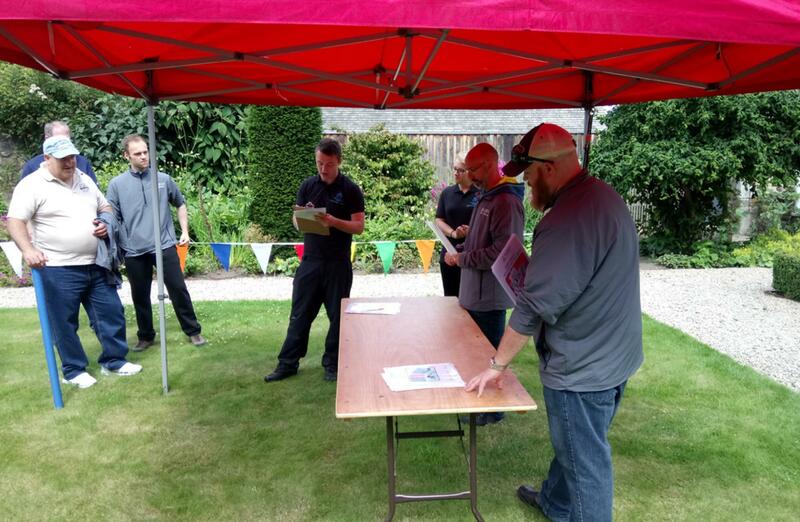 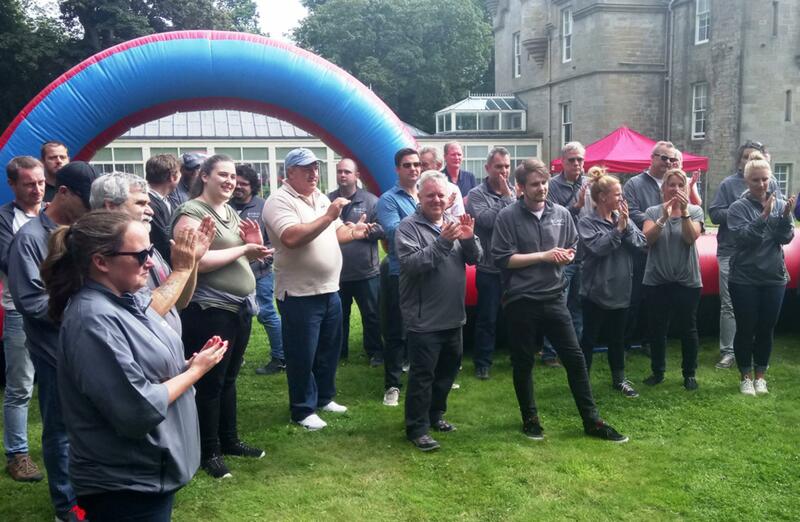 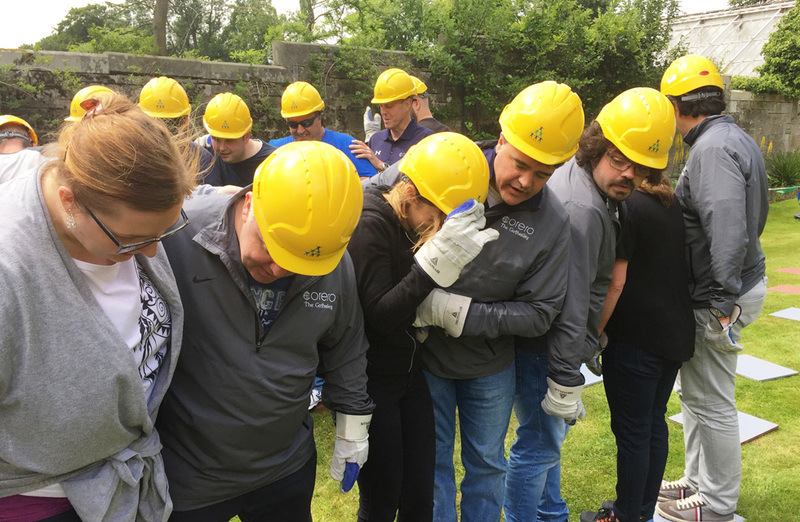 Team Challenge Company had the very great pleasure of hosting a truly bespoke team building afternoon in the style of our famous Crystal Challenge at the exclusive Carlowrie Castle in Edinburgh for the Corero group. As the guests were greeted by our team there was building excitement and a lot of nervous faces as they were warmly welcomed onto the beautiful grounds. 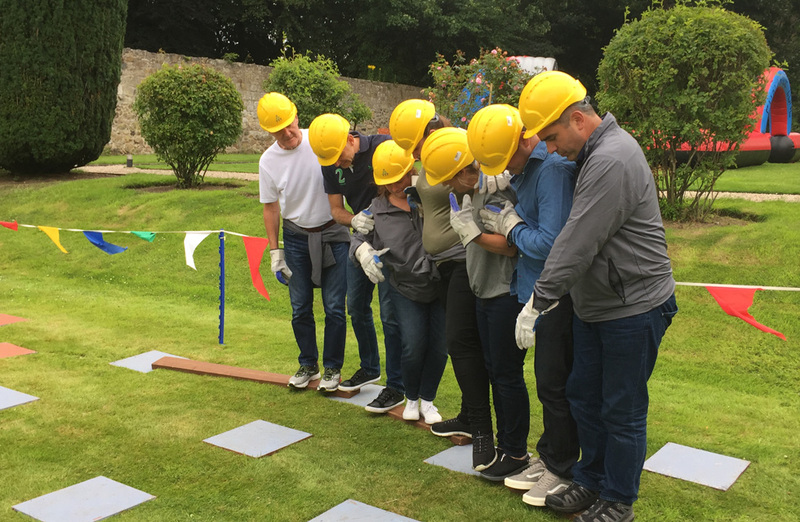 The afternoon activities were explained and it was “Game On” - time to face the Team Challenge Company Crystal Challenge! 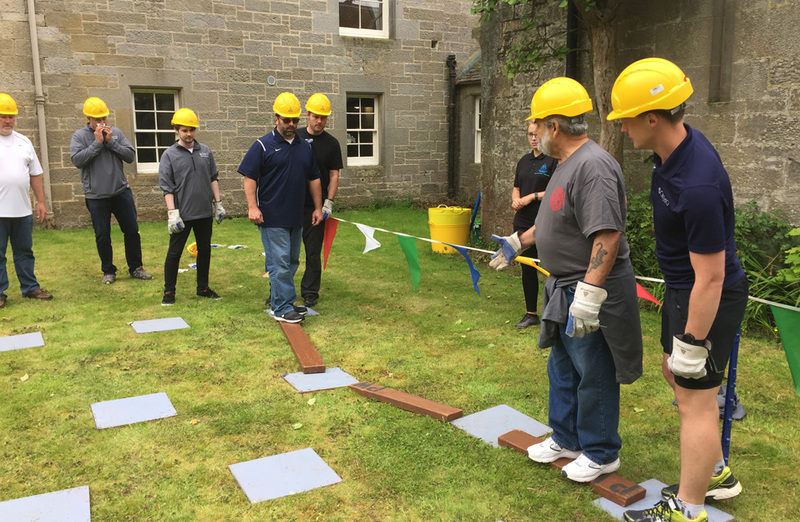 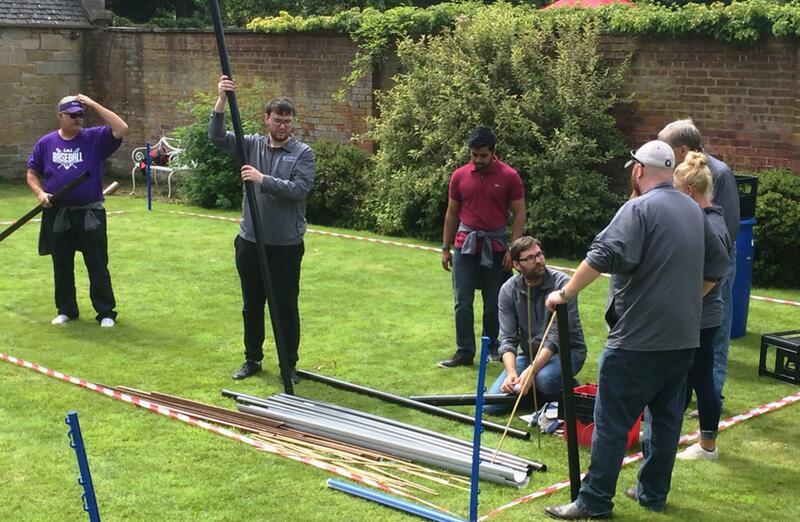 The group was split into six teams for their first series of challenging activities, which were NASA Challenge, Towers of Hanoi and Rollerball. 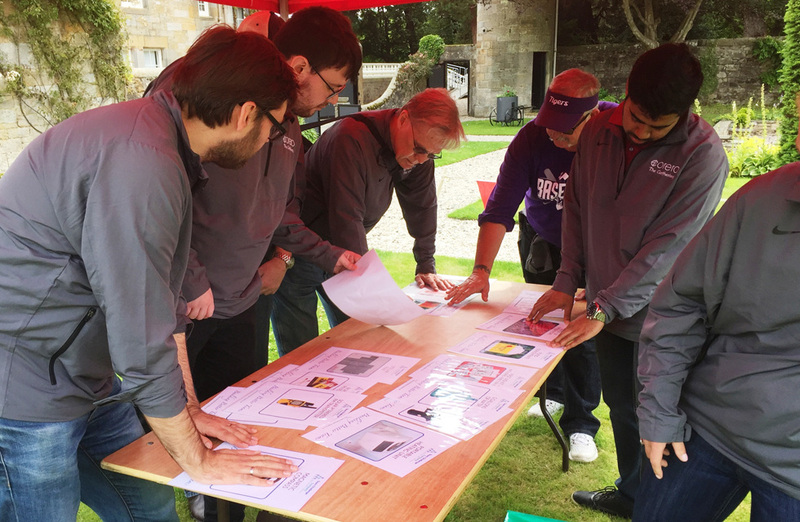 Over at Rollerball, instructions were given to the teams and the group had 30 minutes to devise the most ingenious plan that allowed them to complete the challenge head to head against their teammates – just look at those photos of design ingenuity. 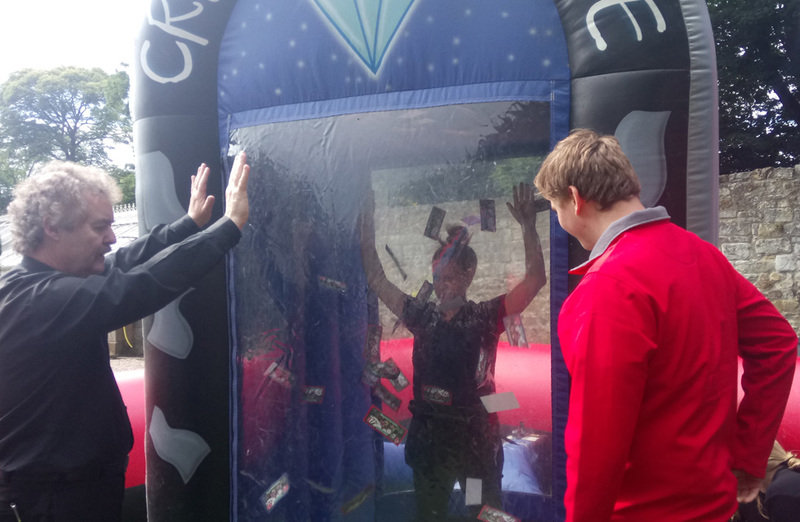 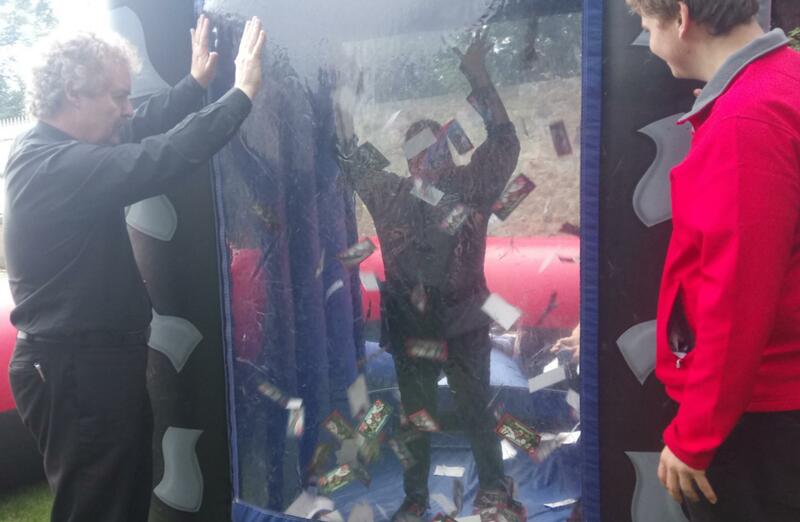 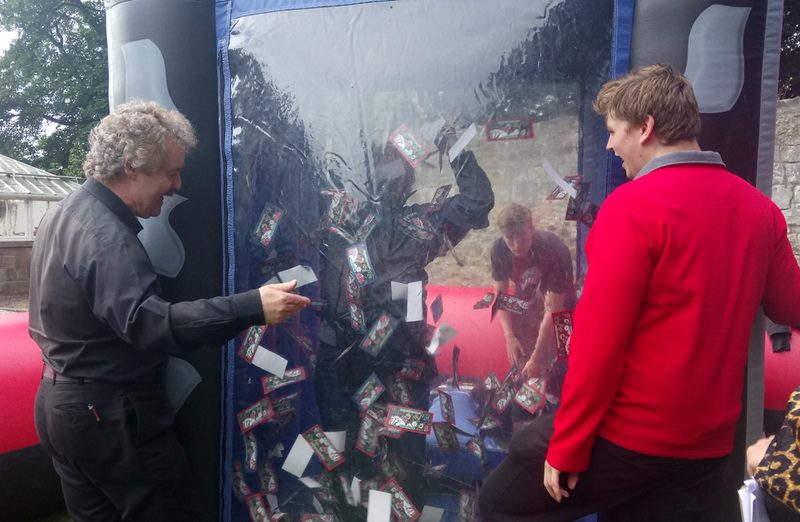 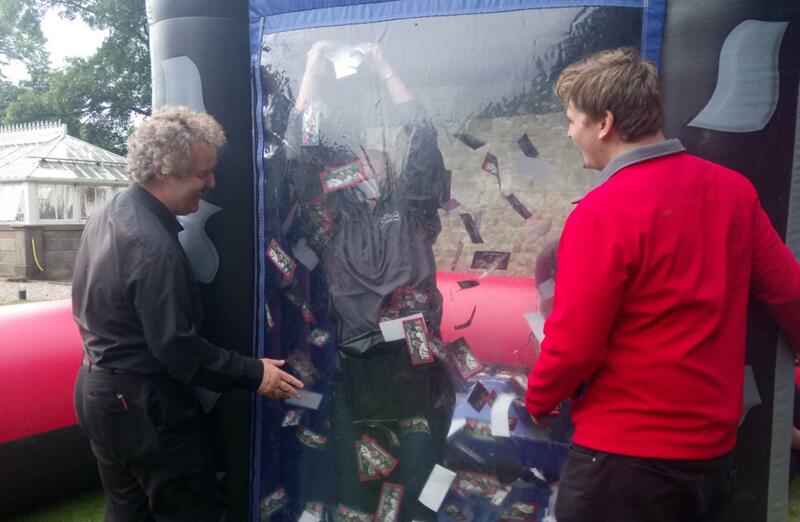 As always, there was someone who thought outside the box - today it was Steve and team who tried to build a time machine to give them an added advantage – not sure that actually paid off! 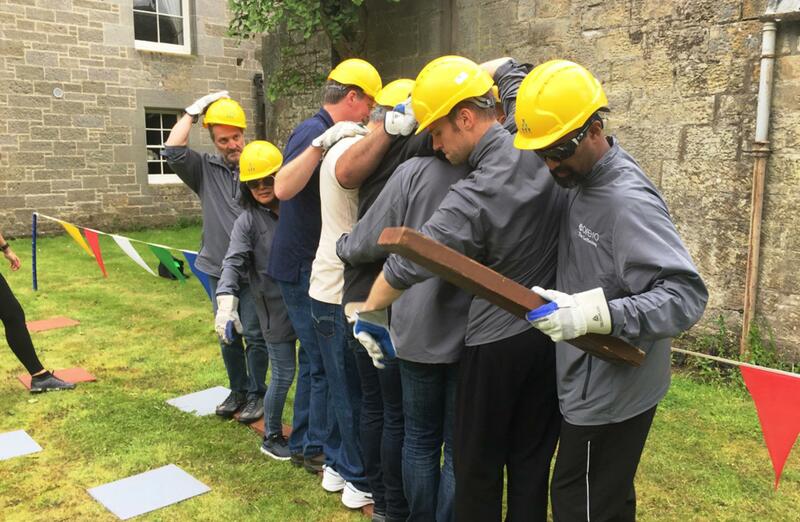 Teams took this activity on and were on fire! 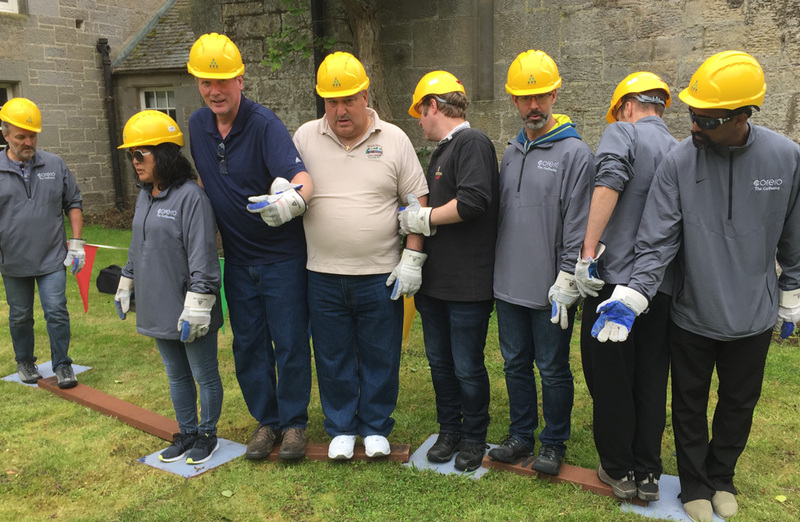 At Towers of Hanoi, only one team completed the puzzle in the allotted time. They took home their first Crystals of the afternoon gaining them the all-important seconds in the Crystal Dome Finale! 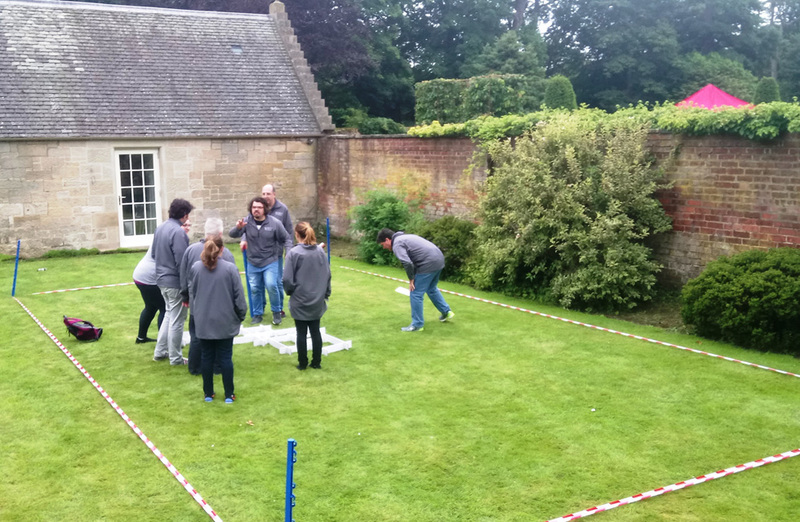 NASA was another in our first series of head to head battles, getting all teams involved. 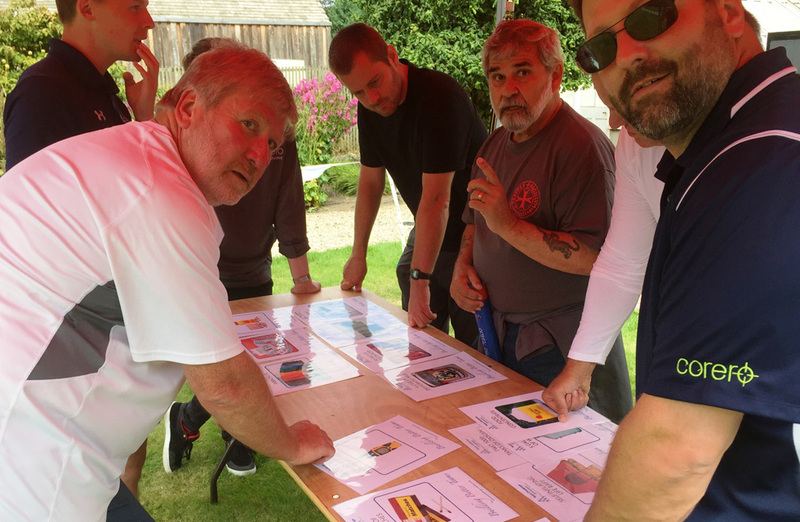 The teams had to score under 25 points in order to take away a Crystal. 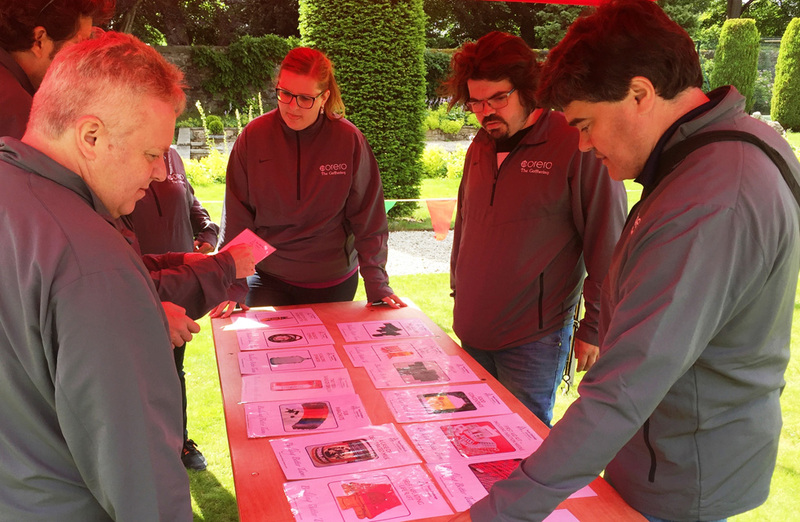 Packs were handed out and the teams found a spot to discuss which order they should rank the items. Time was up and all the teams crowded round the leaders as they showed which cards they ranked from most important to the least important. 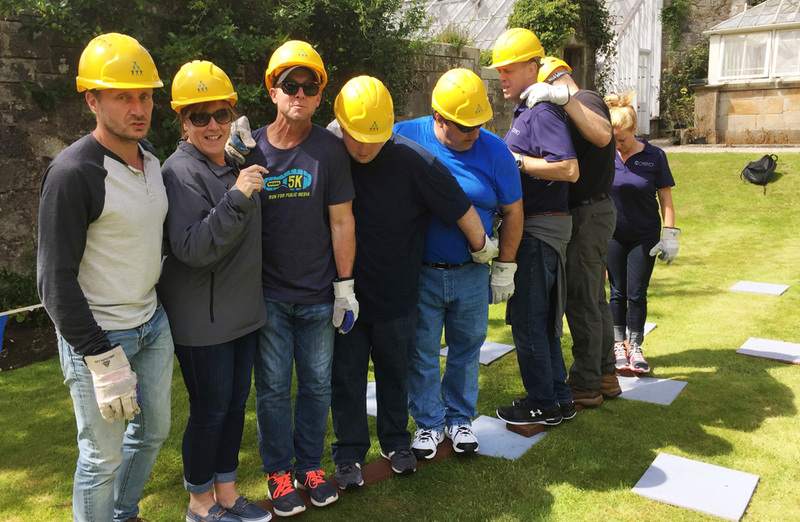 Pressure was high on this off planet task with team Six-Cess bringing home the best score! 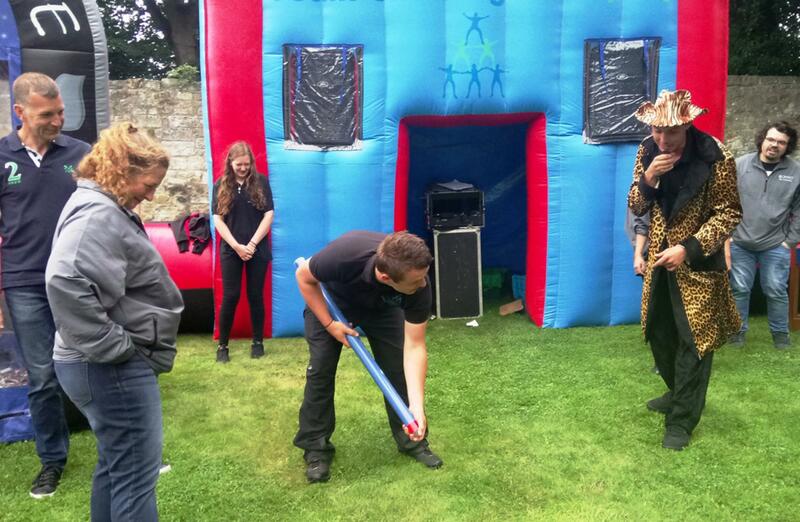 It was time for the next series of challenges after lunch including the one and only infamous Catapult! 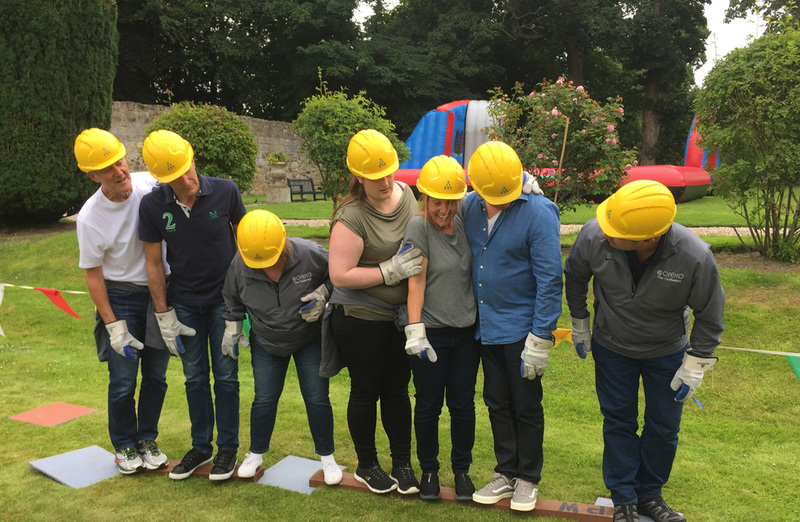 The teams raced against the clock to build the most amazing contraptions we have ever seen and, of course, also focused on getting the ball to be sent to the far side of the course! 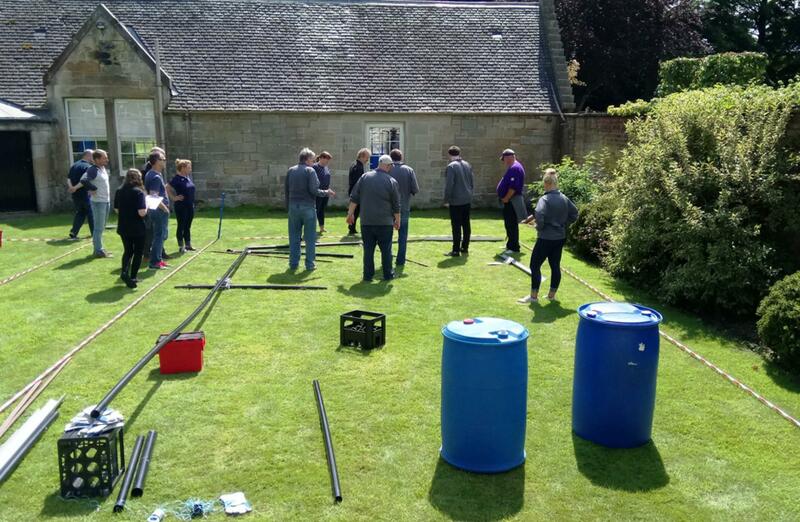 Stepping Stones saw a few teams forge strongly ahead and Interlocker followed close by - a challenge too far for many! 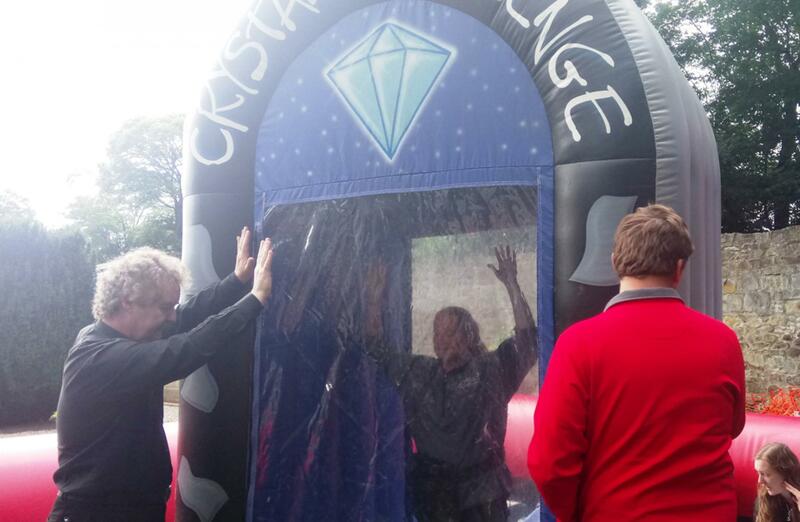 The teams then stepped up to the Grand Finale – the Crystal Dome Finale as their crystals were counted to huge applause from all. 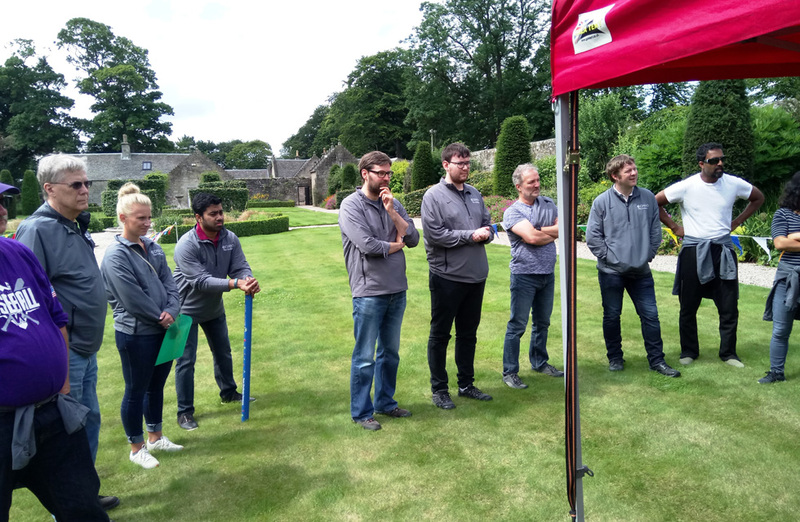 The final team member stepped into the Dome, and used a technique he called the Crab and what a success it was, managing to gain his team a huge amount of money, but would that be enough to take home the trophy? 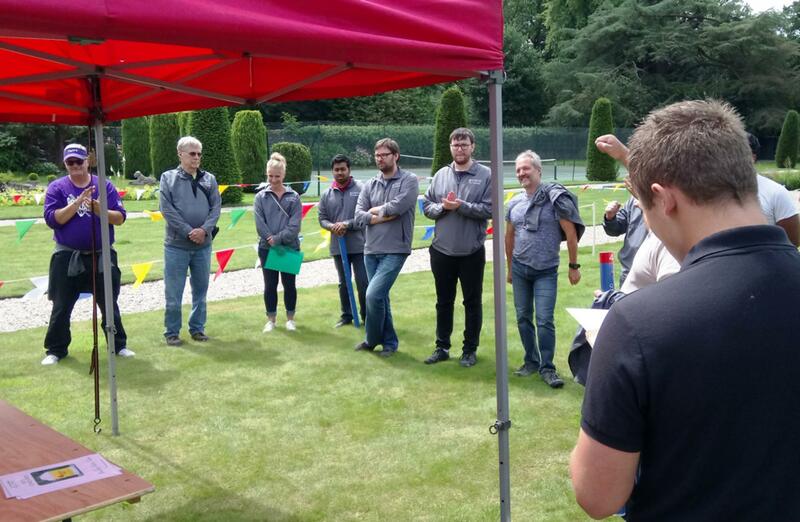 The scores were checked and verified, and taking home the Team Challenge Company Trophy was Team Six-Cess! 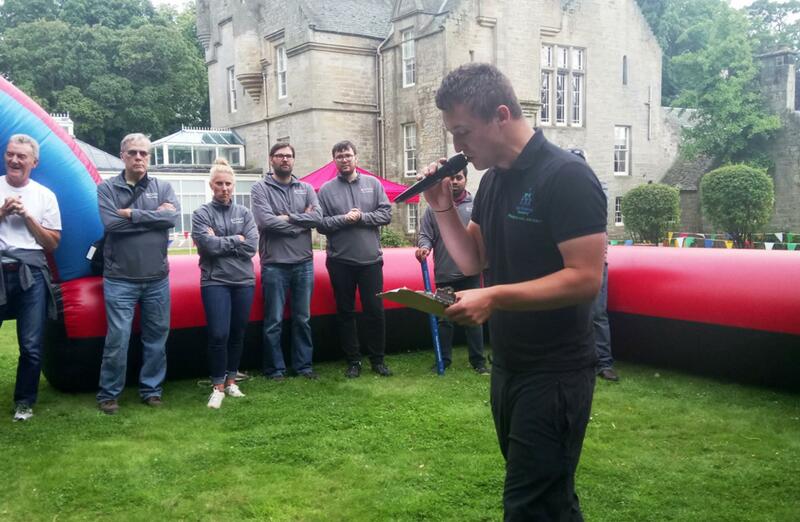 We like to say a massive well done to Andrew for organising this amazing event at such a wonderful venue and managing to keep it all a closely guarded secret! We hope you all enjoyed your afternoon as much as we did and gained a greater insight into working even more closely with your colleagues going forward, and we look forward to working with you all again in the future. 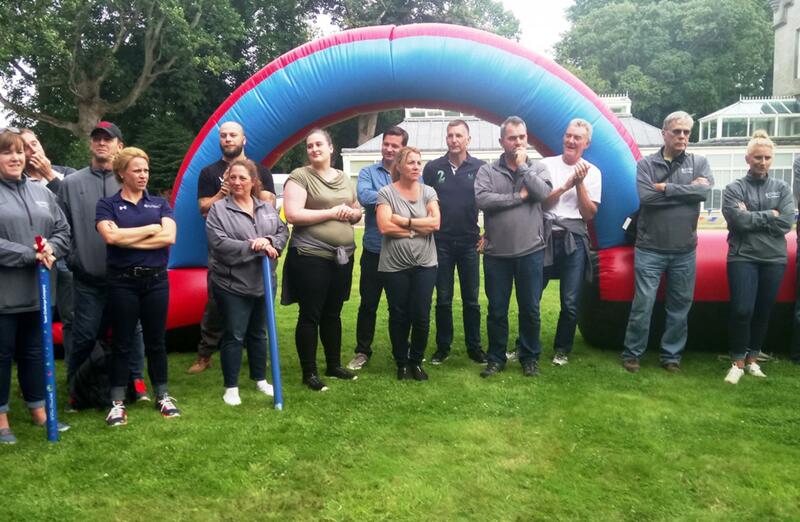 What an event and what a competitive group of people! 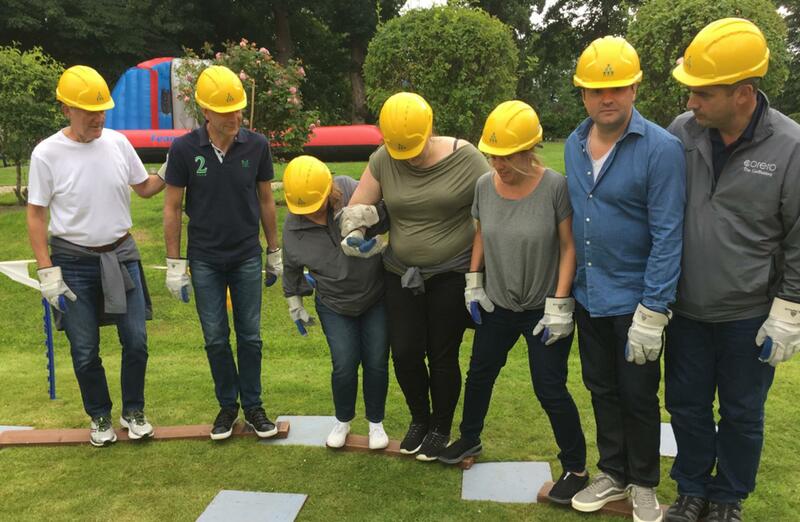 So competitive that some even had a second shot of the activities at the end of the event just to prove they could complete it! 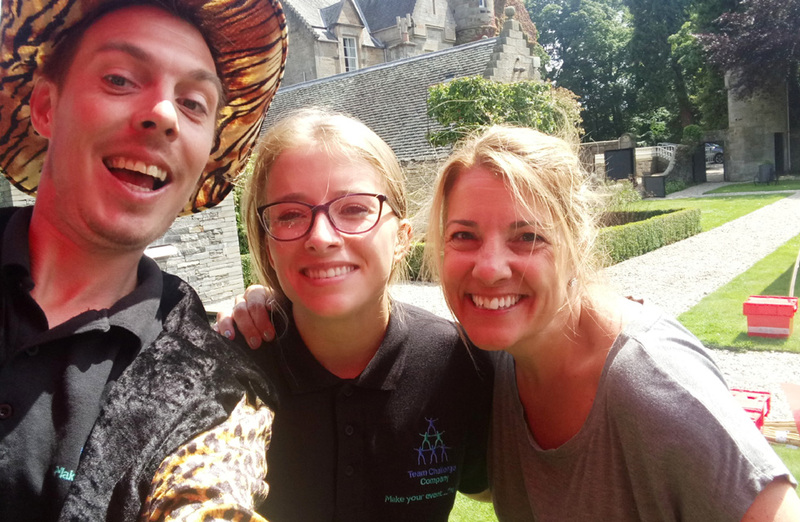 It was great to see everyone working together and even greater to see that our Leopard Lover made it to the end of the event unscathed! 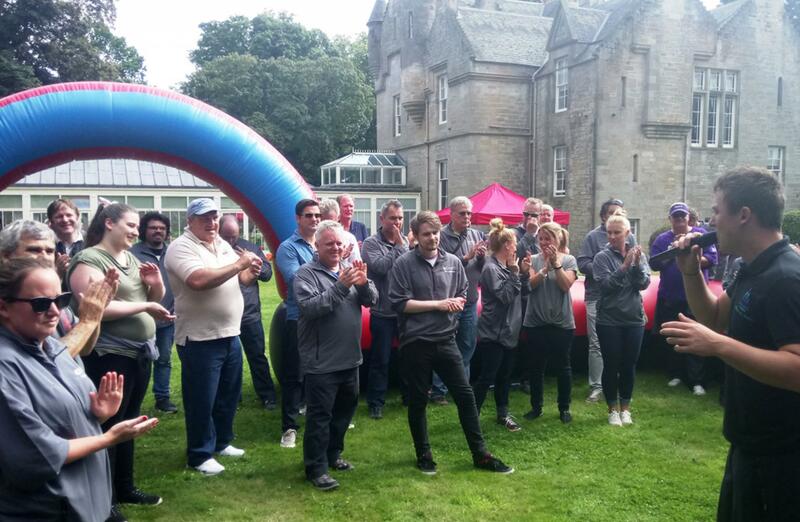 All the teams were fantastic and it was great to meet you all, hope to see you all again soon.